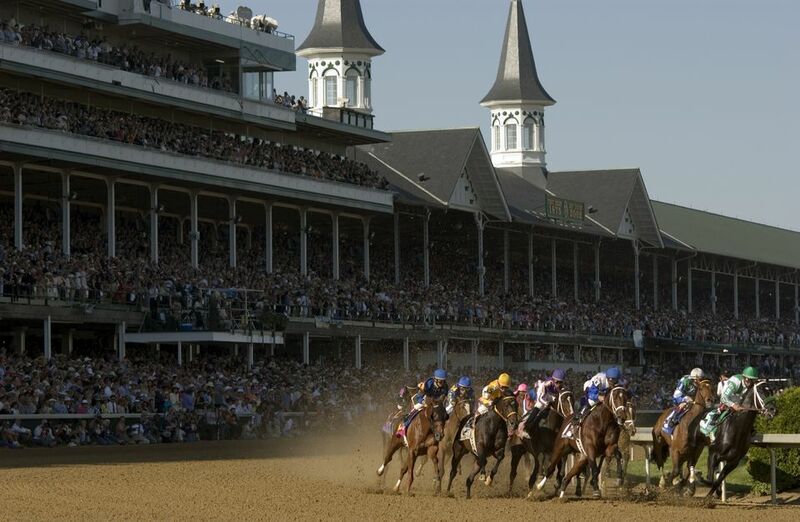 The process of obtaining Kentucky Derby tickets depends first on where you want to watch the Derby. There are several different ways to get into Churchill Downs on Derby Day. Most of the best seats for the Kentucky Derby are licensed to individuals who have reserved the right to buy a specific seat or group of seats for a period of several years. Licensing the seats alone ranges in price (into the thousands and tens of thousands), and seats must be purchased every year by the license holder for a cost that is in addition to the license fee. Reserved seating tickets are made available for purchase annually to Twin Spires members who have applied for entry into the ticket lottery. However, many ticket holders who have purchased seats via personal seat licenses or through the ticket lottery sell their tickets through ticket dealers. Advance admission tickets to the Kentucky Derby Infield are available through the Churchill Downs website. Additionally, admission tickets can be purchased at the gate on the day of the Kentucky Derby. Churchill Downs does not limit the number of people that can be admitted to the infield on Derby Day, so you don’t have to worry about tickets selling out. The newest addition to Kentucky Derby seating is the Infield Club. The Infield Club is a sports bar that allows people to experience the excitement of the Derby infield in the comfort of a shaded area with a bar, upgraded restrooms, and a DJ. It's the perfect solution for the person who doesn't want to endure the crazy partying of the infield but can't get reserved seating tickets. Tickets are available through the Churchill Downs website until they sell out, then you can purchase them through a ticket broker. The Infield Suites and Marquee Village areas are trackside seating areas with food and drink service and climate control. Tickets for the Infield Suites and Marquee Village can be purchased through the Churchill Downs website until they sell out, then you can purchase them through a ticket broker). What Is a Kentucky Derby Pegasus Pin?